Box art grammar flubs are the best kind of grammar flubs. And while the back of Driveclub doesn't quite compare to Capcpom's Resident Evil Revelaitons, this one is pretty great too. See the line on top there? "Race in hundreds of online & offline players"? That does not make sense. You cannot race inside of players. 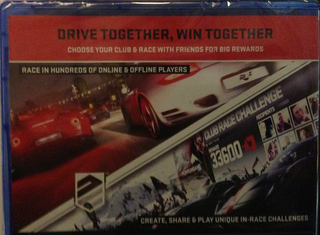 3) Race in hundreds of online & offline... tracks? Courses? Driveclubs?